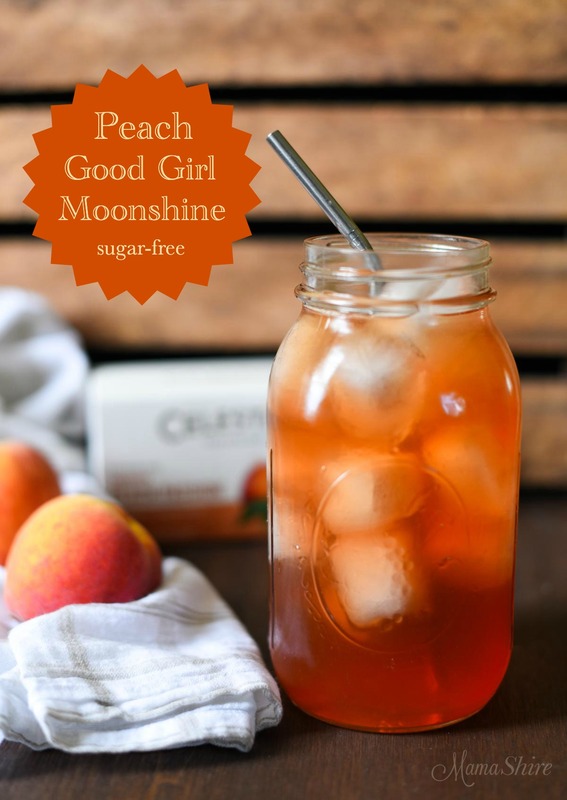 Peach Good Girl Moonshine is so delightful and refreshing. 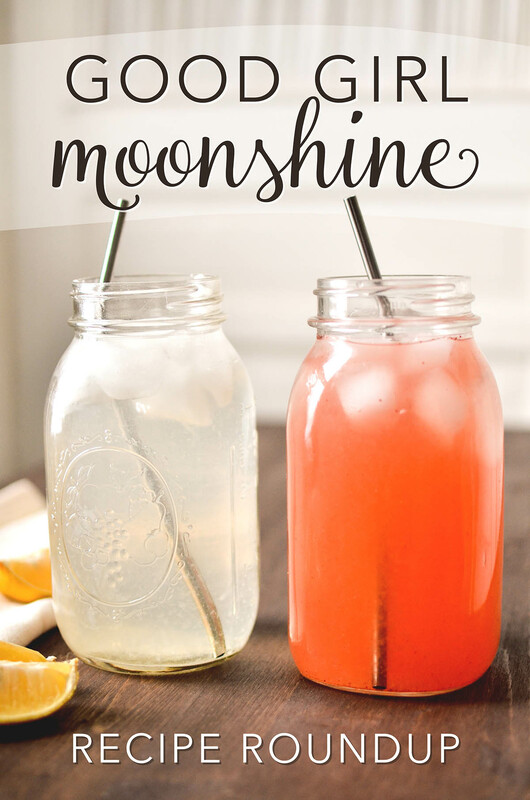 It’s a perfect summertime drink and the only thing you need to go along with it is…..a hammock. 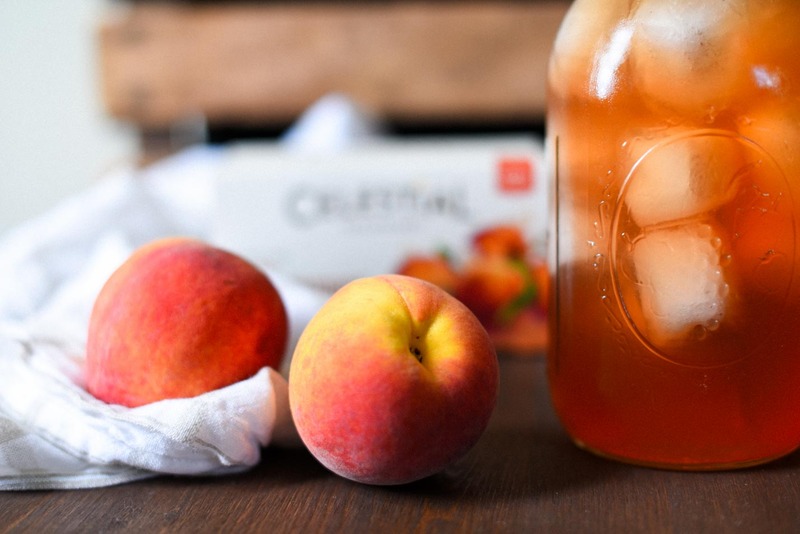 Picture this peachy, ice-cold drink in a hammock with good company or a good book. 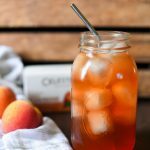 Not only is this drink delicious, it’s an all-day sipper! All-day sippers are drinks that don’t have any fuel that your body would need to burn or store. No fat, no carbs, no protein. Just refreshing goodness and good for you ingredients! 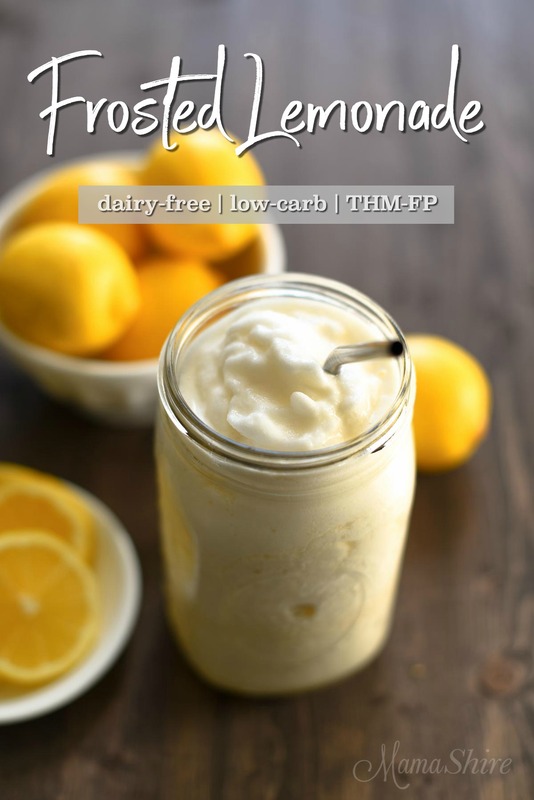 Trim Healthy Mamas this is an FP all-day sipper. Steep tea bags in 1 cup of hot water in quart jar for 5-10 minutes. Remove tea bags and add apple cider vinegar, stevia, and ginger. Give it a good stir and then add ice and water to fill jar. We will definitely have to try this! 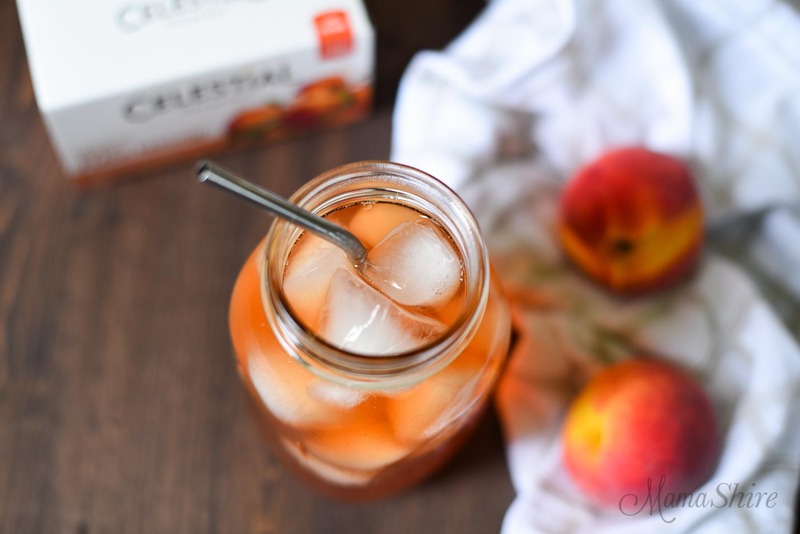 We love Metropolitan Tea’s organic loose leaf peach apricot tea. Hi Anne! Oh, that sounds simply wonderful. Enjoy! I steep the peach tea with a few hibiscus flowers (dried) and a little oatstraw. Both are said to be beneficial post-menopause. When done steeping, I then add plain seltzer water, to give it a bit of bubbly, and ice. Oh, so yum on these hot TX days! Thanks for the inspiration! I’ve used fresh ginger before. When I do, I blend some peeled pieces of ginger in the blender with water and then pour that mixture into an ice cube tray and freeze. Then I can just pop a frozen cube or two in my drink. Oh my, this sounds delicious! One question though – I cannot handle the taste of ginger due to the taste memories created years ago by using it to help with morning sickness. Any other spices you’d recommend?? I was able to give up a longstanding Mt. Dew addiction using this drink. Thanks so much. I’m never going back. I can relate to you, I was able to quit drinking diet coke, which I drank tons of for years!! I have been free from this addiction for 4 years, and I’m never going back either!! Thank you for the inspiration! ! I know this is a crazy question, but where do I purchase the ginger? Is it fresh or a spice found with other spices? Can I use something different than stevia? Hi Francy, I also use Pure Monk. You can get it on Amazon. Use one to two scoops to taste. It comes with it’s own little scoop. I’m curious. Is the vinegar for flavor purposes or just health. Sounds like a weird combo. The apple cider vinegar is wonderful for health benefits, but it also gives the drink a nice little fizzy taste. Makes it more like a soda. Would raw honey work for a sweetner? If you’re following the Trim Healthy Mama plan than the answer is no. If you aren’t it would be fine, but know that you would be getting a continual carb source throughout the day if you didn’t drink it all at once. It would also be fine if you are needing to gain weight. Hi! I love this drink! I make mine in a 2 quart mason jar with 4 tea bags. Cold brew in the fridge over night. Drain the bags, add 2 T ACV and as much ginger juice or frozen cubes as you want. I also use Pyure stevia. I love this drink! I love the idea of doing it as a cold brew overnight! That’s brilliant!